In our last newsletter, we wrote that the United States is losing its global standing and that we are entering a multi-polar era in which no single country will dominate. As the power shifts, we need to shape our future in a positive way. The alternative future, one envisioned by those in power, places us at risk of a major global conflict and runs counter to our vision of social justice and sustainability. 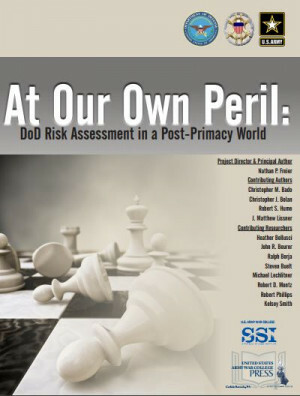 The Pentagon recently released a report, “At Our Own Peril: DoD Risk Assessment in a Post-Primacy World,” which details its concerns about losing access to resources and “resistance to authority” both at home and around the world as governments lose legitimacy. Faced with these changes, the United States could embrace them, become a cooperative member of the world, transition to a lower-waste lower-energy sustainable existence and draw back the military to use those resources to meet domestic needs. The Pentagon is not alone in seeing this reality. In a new book, “In the Shadows of the American Century: The Rise and Decline of US Global Power,” historian Alfred McCoy predicts that US empire is ending and will be over in the next decade. 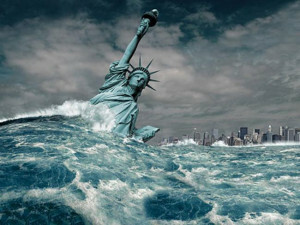 Even now he says the “United States can no longer dictate to the world, or at least much of the world, like we could back in the 1950s.” He predicts that by 2030 US empire will be finished. Once this loss of global primacy and the Pentagon’s plan to go down with a fight are understood, the recent decades of war and military expansion come into perspective. Under President George W. Bush, the US declared an “axis of evil”, attacked Afghanistan and Iraq, conducted drone strikes in Pakistan, escalated conflict with North Korea and worked for regime change in Venezuela. Under President Obama, the US continued those conflicts, added Libya, Syria, Yemen and Somalia, increased the US military presence in Africa by 143%, expanded NATO, overthrew governments in the Honduras, Ukraine and Brazil, lined the Russian border with weapons and shifted a large part of the US military to surround China. At the same time, although the Gross Domestic Product rose, wealth inequality and poverty grew in the US. Under Obama the GDP growth went to the top 1%. Over the last 40 years, while CEO pay rose 937 percent worker compensation remained stagnant. We live an Empire Economy that only works for the wealthiest and the transnational corporations. Militarization of the police, surveillance and crack downs on the media and whistle blowers are also growing. 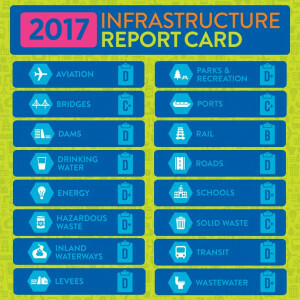 Infrastructure is failing and basic necessities such as housing, education, health care and water are not universally available because they are being sold off and privatized. Trade agreements have hollowed out manufacturing and driven the rise of a service industry, in which workers are exploited because they are disposable. The Obama administration aggressively negotiated the Trans-Pacific Partnership (TPP), the Trans-Atlantic Trade and Investment Partnership (TTIP) and the Trade-in-Services Agreement (TiSA) in secret. These three expansive international treaties would have fundamentally consolidated global corporate power and taken a sledge hammer to the sovereignty of our communities and the countries involved. They would have, but so far they have not because a global solidarity movement of movements took action to stop them. Popular movements must organize to end US Empire in the least damaging way possible and to prepare for the post-Empire era. The time for a global popular solidarity movement for peace, justice and sustainability is now. Global wealth rests in the pockets of a few, but the power to overcome them and to build a world that works for everyone pulses in the minds and the muscles of the many. Here are a few examples. TRADE: This week, the Trump administration released its negotiating objectives for the North American Free Trade Agreement (NAFTA). 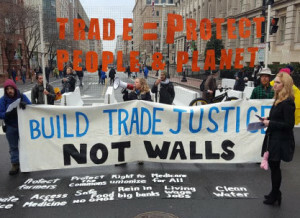 Friends of the Earth’s analysis reveals that they are modeled on provisions in the TPP and will undermine public health and food safety, if they become law. Walden Bello writes that activists have been working for decades to define a new economy and structure of globalization. The pieces are there and groups from Canada, the US and Mexico are assembling them into a vision that inspires action. CLICK HERE to join the effort by sending a letter to your local paper. 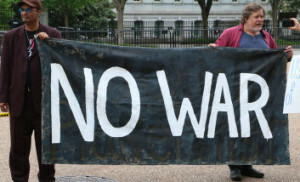 Christopher Glen and Kevin Zeese holding No War sign at White House. By Chris Owens. PEACE IN KOREA: Millions of people mobilized in South Korea to remove President Park Geun-hye from power and elect a new president. They are calling for peace and reunification with North Korea and a reduction in the US military presence, including removal of the THAAD missile defense system. There are ongoing protests against THAAD. Instead of negotiations, a few senators are calling for greater sanctions, even targeting Chinese banks that do business with North Korea. Peace activists are traveling to South Korea this month to take action in solidarity. CLICK HERE for information to call your senators to stop sanctions and demand peace. RIGHT TO BOYCOTT APARTHEID: For more than a decade, the Boycott, Divestment and Sanctions (BDS) movement against Israeli Apartheid has grown into a powerful nonviolent tool against oppression. The Israeli lobby, AIPAC, has been working at the state level to pass legislation prohibiting businesses, groups and individuals from participating in the boycott. Now, Members of Congress have introduced legislation to criminalize participation in the boycott with fines between $250,000 and $1 million and 20 years in prison. CLICK HERE for an action tool created by Jewish Voice for Peace. The Empire Economy is hurting us domestically. More than half of our discretionary budget is spent on the military, and President Trump wants to increase that by $54 billion, while tiny slivers of the budget are used for education, housing, transportation and other necessities. We must continue to organize and mobilize at home to demand decreasing the military budget and putting systems in place to both meet our basic needs and transition to a clean energy economy. Here are a few opportunities. HEALTH CARE: Republican efforts to repeal the Affordable Care Act (ACA) and replace it with legislation that would cause health insurance premiums to go up, coverage to go down and tens of millions more to lose health insurance have been met with fierce resistance. There have been multiple protests in the Senate resulting in arrests of people with disabilities, health professionals and other advocates. Despite efforts by Democratic Party leadership to shift momentum to the “fixing the ACA“, activists are demanding National Improved Medicare for All. That is because the market system has failed to solve the healthcare crisis, Geoff Coventry explains why. Peter Dolack writes about the high cost of for-profit health care and Dr. Adam Gaffney debunks the public option myth. This Tuesday, faith leaders and health professionals will protest again, led by Rev. Barber of the Moral Monday movement and Dr. Carol Paris, president of Physicians for a National Health Program. 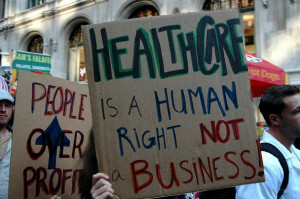 And actions are being organized across the nation to celebrate Medicare’s birthday on July 30. CLICK HERE to find actions near you. NET NEUTRALITY: The Federal Communications Commission (FCC) is currently in a process, led by former Verizon lawyer and new chair Ajit Pai, to undo net neutrality rules. The recent national day of action was a big success. The first round of public comments closed on July 17, with a record total of 9 million comments (twice the number in 2014 when we fought and won net neutrality). Currently we are in a one month rebuttal period. If we lose net neutrality, it will impact all of us and restrict our ability to use the internet as a tool for creativity, information and organizing. Sarah Fischer describes how new neutrality impacts digital companies. Bryan Mercer explains why net neutrality is a working class issue. 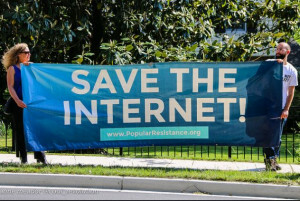 Thank you to all of you who joined our efforts at ProtectOurInternet.org. SIGN UP to stay informed about next steps. CLEAN ENERGY TRANSITION: A high priority is to stop new fossil fuel infrastructure from being built and to demand a transition to clean and sustainable sources of energy. 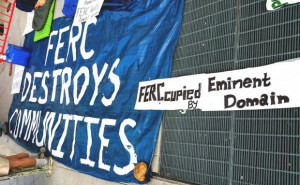 At the root of that fight is the Federal Energy Regulatory Commission (FERC), which permits new projects and is a revolving door and rubber stamp for the oil and gas industry. This year, the FERC has not been able to permit new projects because it does not have enough commissioners. The Senate is moving to confirm more commissioners and their nominations are more industry people. A coalition of groups through Beyond Extreme Energy are working to stop these nominations. VISIT BeyondExtremeEnergy.org to learn what you can do to take action. In our home state of Maryland, we are working to stop the first fracked gas refinery and export terminal on the East coast. 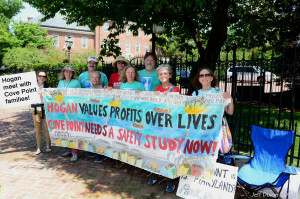 It is being built in a densely-populated residential neighborhood, but Governor Hogan refuses to order a safety study for it even though thousands of residents have petitioned him for one. Protests are being held every Monday at the Governor’s Mansion. This facility will drive more fracking and gas infrastructure throughout the East and add millions of cubic feet of Greenhouse Gases to the atmosphere each year. Join the protests or call the Governor. CLICK HERE to learn more. Can we end Empire without excessive harm? The Trump administration is perpetuating longstanding policies of imperialism, economic and racial injustice and assaults on the environment. Trump has blown all of the undercurrents of injustice to the surface where we must either deal with them, or drown. The United States’ reign as an Empire is coming to an end. It is up to those of us living in the US to take action to prevent more aggression and demand that the US dismantle its empire in a way that causes the least harm at home and abroad. 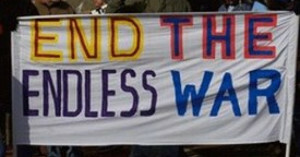 This means using diplomacy rather than military antagonism, respecting the self-determination of other nations, closing bases and military outposts, making reparations for the harm we have caused and using our resources to build a social safety net and a just and sustainable economy at home. The People’s Congress of Resistance is working to develop a vision for the world we want to create. VISIT CongressofResistance.org to participate. There are many tasks involved in this work. We encourage you to participate where and how you are able. And finally, finally, Kevin, the focus on Empire comes back on the radar screen —- which is very fortunate and a good sign to you and I since “Occupy” (or even far earlier), I trust. One factor that remains unaddressed (avoided?) is our poverty crisis. By now, I think much of the middle class is unaware of the intensity of the split between poor and middle class, workers and all those who have been left behind after years of shutting down/shipping out jobs — much less, why these deep divisions matter. Twenty-some years into our war on the poor, we’re in a bizarre situation where the only “inequality” that is acknowledged is the gap between the better off and the rich. Turns out, “trickle down economics” atranslates into “trickle up austerity.” Imagine that. Today, “hard-working American” is a temporary position, but we won’t talk about that, much less about what happens to all those people who get phased out of the job market. We will stay the course until the country crashes. I personally think that “protest movement” needed to start by the end of the 1980s. It’s unfortunate that America forgot all the lessons learned from the Great Depression. Yes, DHF, it might seem to have been better if the essential Second American “Political Revolution against EMPIRE” had begun in 1980, instead of that date being the beginning of the last turbo-charging of America’s final lap of the race toward EMPIRE with the installation of that former GE pitch-man, lying shill, and grade ‘B’ actor playing the role of faux-Emperor/president — who deceitfully deluded the ‘lower-information’ half of Americans into thinking that “Government is the problem”, and thus led to the nine (9) ‘least worse voting cycles’ — before Americans started to learn the real problem is that “EMPIRE ‘posing as’ Government is the problem”. What can I say, and admit, DFH, except that from a revolutionary standpoint the timing after the Vietnam War, during the energy crisis, and then ginning-up of the American global economy’s last surge of looting was an era (and error) rushing in ‘internet time’ toward the cliff. America, borne by the lust of Empire did not yet recognize, perceive, or understand until the first wave of people started dropping-off the cliff, that the time for the global socialist revolution against this Disguised Global Capitalist EMPIRE was here, in the second decade of the 21st century. This is now a ‘lesson learned’ painfully after the last “learning moment” faux-president, Mr. Okie Doke Hopie-changie has exited, neoliberal-con ‘stage left’, and we are in the deadly embrace of the first real Emperor Trump installed by the first in world history; ‘effectively-disguised’, ‘truly-global’, and crony ‘capitalist-fueled’ EMPIRE nominally HQed in, and merely ‘posing’ as, our former country. But NOW, the ‘time is right’ and we are now on, not ‘Internet-time’, which will seem slow, but we are about to enter ‘revolutionary-time’, which will be orders of magnitude faster (as was true of even past ‘revolutions’). The “Coming Insurection” (a European ‘term’) and now the Second American “Political/economic/socialist Revolution against EMPIRE” of ‘we the people’ are combining in solidarity to fire a; loud, public, sustained, ‘in the streets’, but totally non-violent “Shout (not shot) heard round the world” which will ignite this fast coming “Peoples’ Truly Peaceful Global Socialist Revolution against EMPIRE”. DHF, now, finally, the time is here — and a thousand times faster than ‘internet time’, the time is now running on ‘Revolutionary-time’ — which will knock the socks off the Empire.